Outdoor enthusiasts have seen a lot of innovation in tent design over the years, as backcountry shelters have gotten lighter, stronger, and easier to assemble. The same can’t be said about the tents used for car camping, however. But a new company called Alien Buffalo is looking to change that with a line of shelters built specifically for use while traveling and at outdoor festivals, where weight takes a backseat to overall comfort and ease of use. 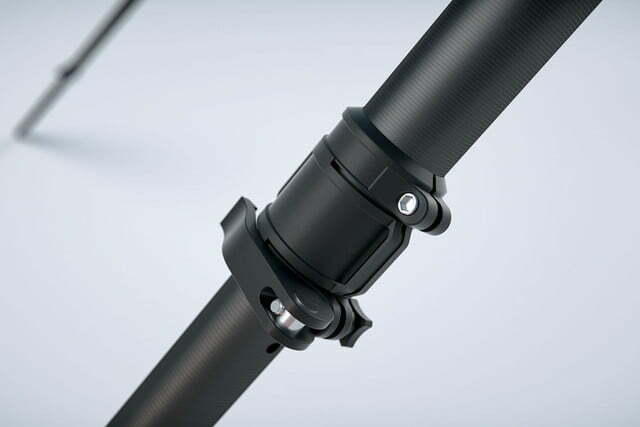 The design came from a real need, Alien Buffalo’s lead designer Brian Newman told Digital Trends. 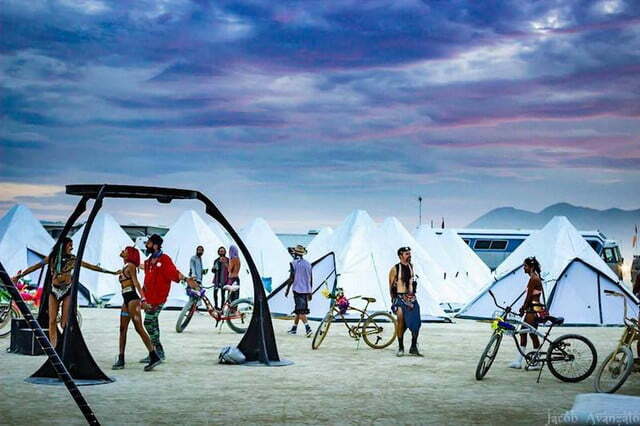 “We built a large camp at Burning Man and couldn’t find a shelter that met our needs. We tried everything from yurts to converted ice fishing pop-up tents,” he said. 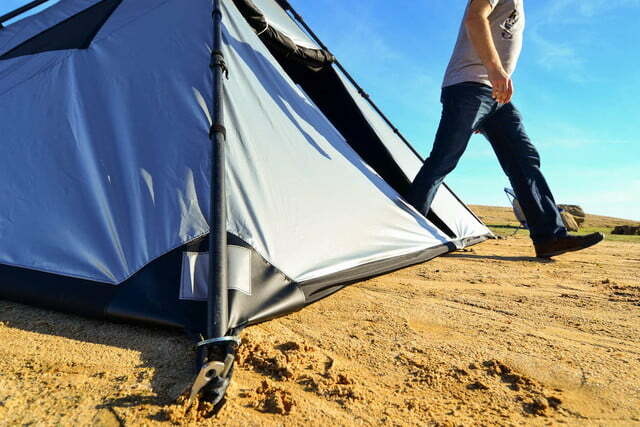 “We needed something lightweight, easy to transport, durable, with standing room — something that could handle the heat, wind, and strange use cases. And just like that, an Alien Buffalo was born. 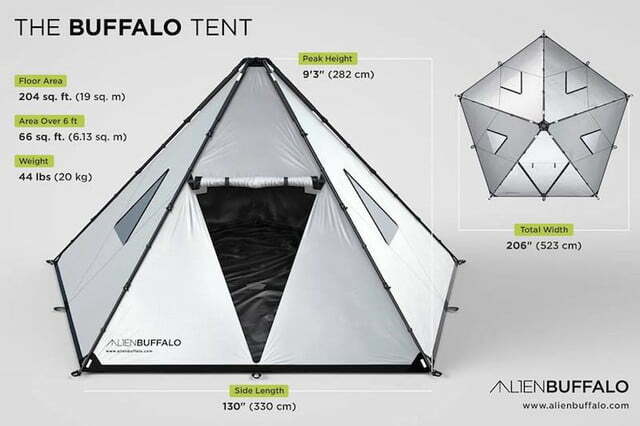 The new Buffalo Tent and Buffalo Tent Mini are certainly unique to look at. 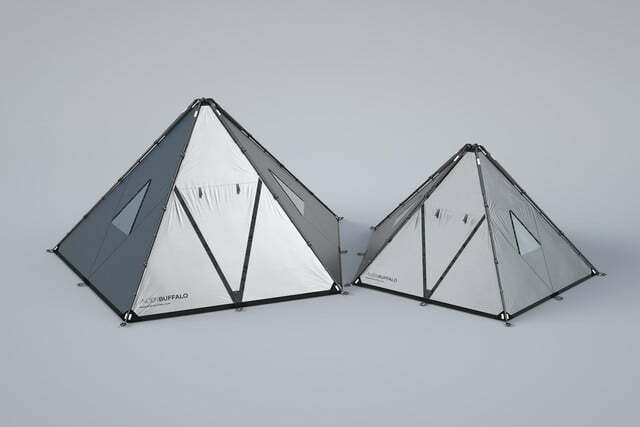 Both feature a five-sided design shaped more like pyramids than the dome tents so prevalent in the outdoor world. That shape was inspired by the traditional Native American tipi or the yurts that are used across Central Asia, and it provides more usable space on the interior, not to mention a higher ceiling. For the standard Buffalo tent that translates into 204 sq. feet of space, and a peak height of 9 feet, 3 inches. For the Mini, the numbers are more modest, topping out at 6 feet, 10 inches, and covering 124 sq. feet of area. In terms of weight, neither the Buffalo, nor the Buffalo Mini will compete with a standard backpacking tent, tipping the scales at 44 and 30 pounds respectively. That means you won’t be lugging one of these shelters into the backcountry — but that’s not the market Alien Buffalo is going after anyway. Instead, these tents are designed to be set up at a campsite you can drive to, making weight a non-issue. That said, considering how much space Buffalo Tents provide, they are actually quite portable. The standard Buffalo will sleep 8 people comfortably, but can accommodate as many as 14 in a pinch, while the Mini maxes out at 8 but is best suited for 4. 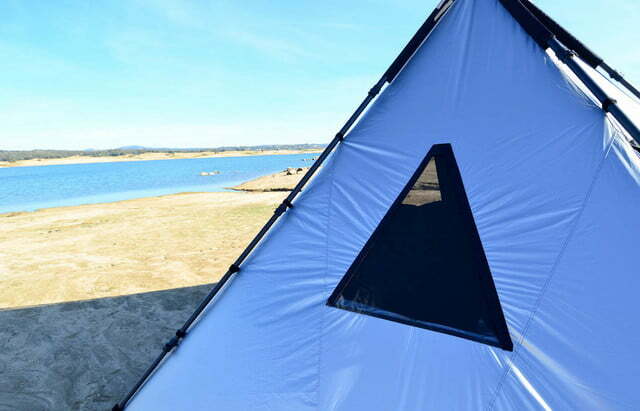 Both tents are made of lightweight and breathable fabrics that come pre-attached to an anodized aluminum frame that features telescoping legs. To deploy the shelter all you have to do is find an open area at your campsite, extend the legs, place the tent on the ground, and stake it down. This provides extra stability in high winds, which might be a bigger concern considering the Buffalo’s shape and height. You don’t have to fumble with an outer shell as you would with a traditional camp shelter, so the entire process is fast and efficient. Alien Buffalo claims that it takes less than a minute for two people to set one up; a single person can do it easily enough as well, in about twice that time. After Burning Man, Alien Buffalo’s co-founder Barrett Lyon became obsessed with building the perfect tent for the festival. 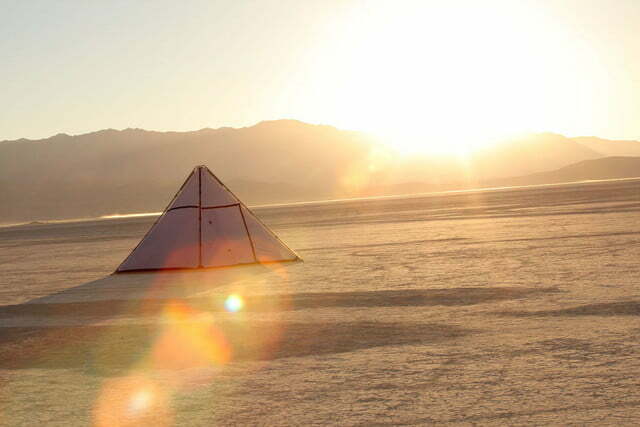 Burners, as festival attendees are known, are often looking for relief from the blazing heat of the desert sun, and these tents were designed to accommodate them. In addition to providing plenty of ventilation, an optional outer shell – dubbed the Super Fly – can be added to the exterior of either version of the Buffalo. 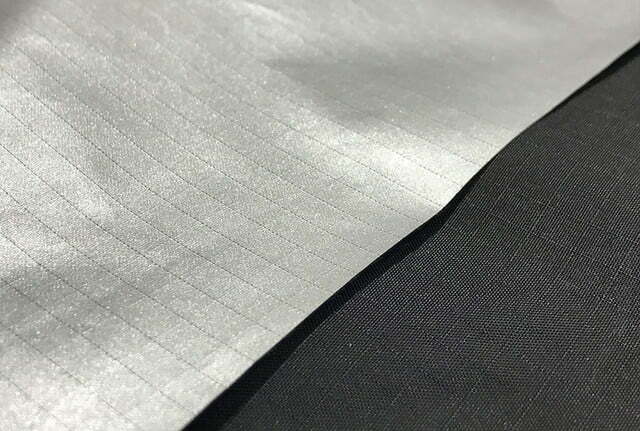 This layer sits on top of the tent and features a reflective finish that blocks the sun’s rays, keeping it far more comfortable inside. The Super Fly can even be paired with a portable air conditioner to bring temperatures down further, creating a cool oasis on the hottest of days. These tents aren’t built just for use in the desert, however. Alien Buffalo says they have been tested in a variety of environments including the beach, as well as in snow, rain, and other weather conditions. Newman says that the tents have even been tested in 100 mph winds and heavy rain, and both models performed exceptionally well, even without a fly. He tells us that high winds and water should be less of an issue with a fly in place, however, making these shelters stable and secure in some of the worst weather conditions imaginable. As you can imagine, a tent of this size, weight, portability, and versatility doesn’t come cheap. The Buffalo Tent runs $1,499, while the Mini will set you back $875. Adding the Super Fly brings the cost up another $500. That’s expensive compared to a typical backpacking tent, but affordable as an “expedition” shelter, most of which sell for twice that or more. The Buffalo Tent is shipping now, while the Buffalo Mini will become available in early 2017. For more information, visit AlienBuffalo.com.